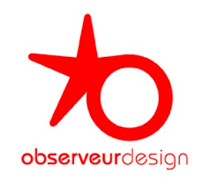 Wonderware InTouch human machine interface software has won the award “etoile du Design”, by “Observeur du design 2016 “, an initiative of the A.P.C.I., the French Agency for the Promotion of IndustrialCreativity that rewards the best and most innovative projects in the field of industrial design. The award was presented on December 1, 2015 by Anne Marie Boutin, president of A.P.C.I., for the Wonderware InTouch 2014R2 OEM application design illustrating the ease of use of InTouch software and its goal oriented HMI Situational Awareness libraries. “InTouch software and its situational awareness capabilities have been proven to help maximize productivity and availability while minimizing costs, such as raw materials, energy consumption and waste,” said John Krajewski, director of HMI and SCADA product management for Schneider Electric Software. For more information and to download the free white paper on situational awareness, please visit Wonderware InTouch.